I didn’t think I could do it, but I improved on a family favorite. 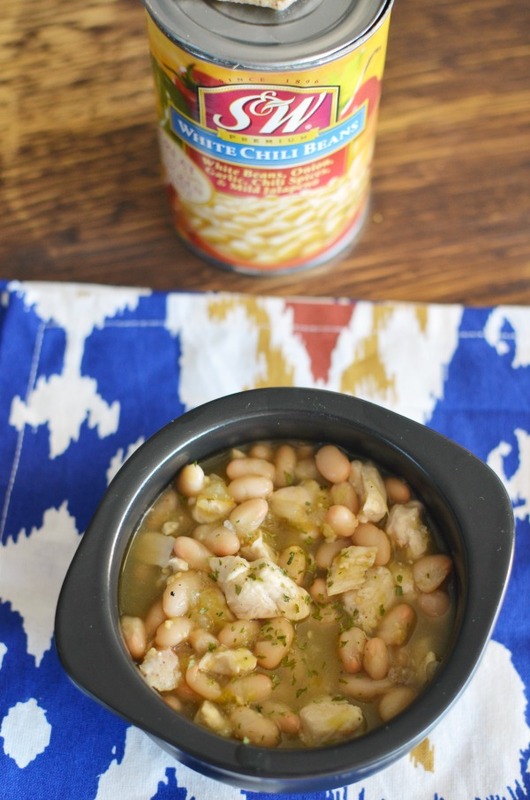 Even our youngest is a fan of this new easier White Chicken Chili recipe. It uses our favorite beans and just 5 other ingredients. Another delicious semi-homemade meal that goes from prep to table in under 30 minutes, thanks to the convenience of S&W beans. 2 picky eaters in the home (one of them’s me) means serving healthy and crowd pleasing meals can be a big challenge. The little one doesn’t eat most meat so finding alternative protein sources is important. Beans just happen to be a favorite and I’m proud to serve up S&W Beans. 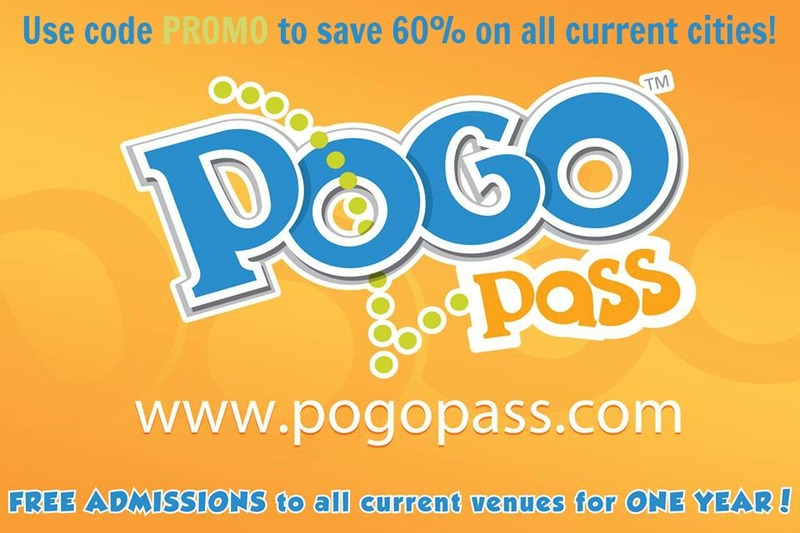 They’ve been in business for over a century offering a premium quality product. 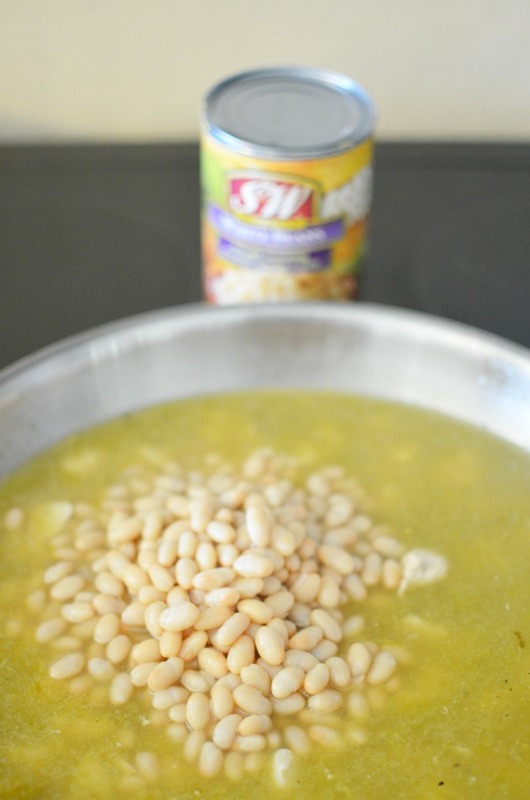 With a great variety of beans available I can easily switch up the recipe with white beans, cannellini beans, and even great tasting white chili beans seasoned to perfection. They taste amazing in this recipe and give it an extra punch of flavor. 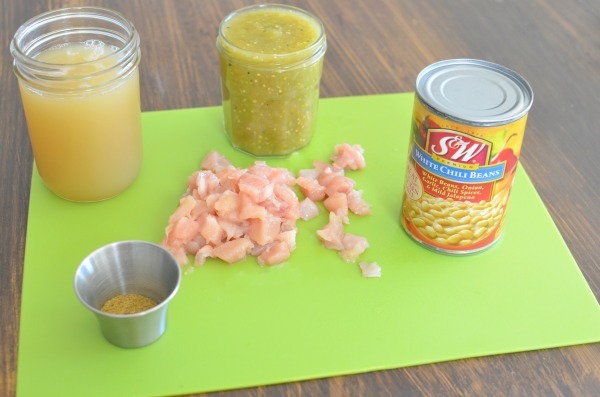 Cut chicken into 1 inch chunks. Brown lightly in a medium-high skillet. Add broth, salsa verde, cumin, and white chili beans. Stir until mixed well. Bring mixture to a slow boil. Reduce heat, and add corn starch (best to mix with a drop of water first so it doesn't clump). Simmer on low 5-10 minutes until the chili starts to thicken. Eat as is or top with dried cilantro, cheese, sour cream, and/or green onions. A great meal starts with great tasting ingredients that are appealing to the eyes and the taste buds. 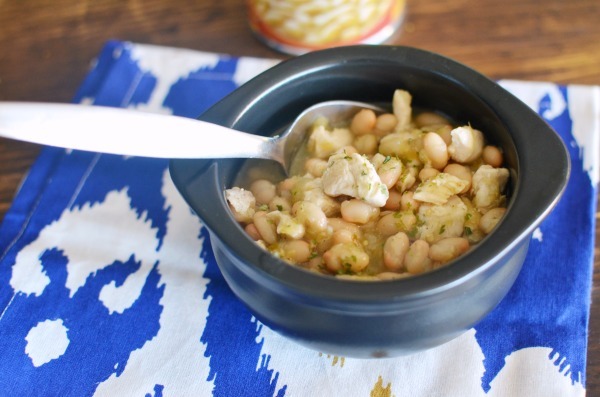 S&W beans is one pantry staple I liked to keep stocked. With a so many varieties to choose from it’s easy to serve up great tasting meals and sides. They even offer organic varieties (our favorite) and 50% less sodium. They’re making cooking better meals easy, even for those with specific dietary needs or preferences. 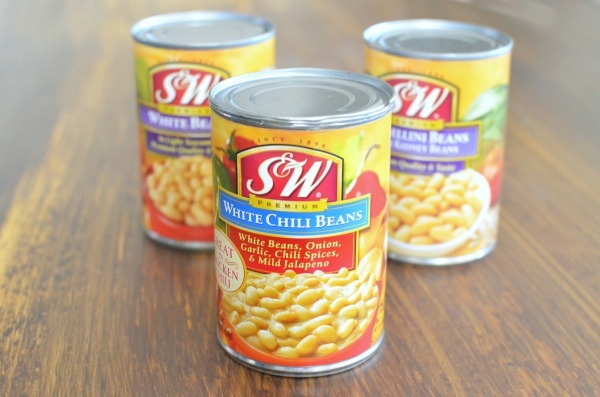 Now’s a great time to fill the pantry and stock up with a coupon for $1 off 2 cans of S&W Beans. Grab yours here and print to save now through April. If you’re looking for hearty family friendly meals that taste great and are packed with great nutrients, beans are where it’s at. It’s an easy source of protein and the convenient solution to quick weeknight meals with no fuss. Even better this recipe saves well so while you’re already in the kitchen double up and save half for next weeks dinner.